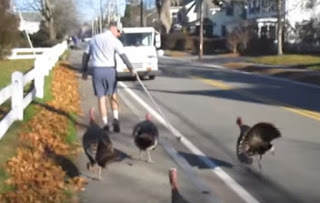 #TVisCOOL: Turkeys Attack Falmouth mailman "Every day." So Turkeys Attack this Falmouth mailman every day, so he has to carry a stick with him to fend them off! Better than dogs i guess?